Twin car bombs kill at least 22 in Benghazi - SABC News - Breaking news, special reports, world, business, sport coverage of all South African current events. Africa's news leader. An explosives-rigged vehicle blew up in front of a mosque in the central neighbourhood of Al-Sleimani. The death toll following a double car bomb attack in the Libyan city of Benghazi on Tuesday night has risen to at least 22, a hospital spokesperson said. A further 20 people were injured and the number of fatalities could rise, Fadia al-Barghathi, spokeswoman for the city’s al-Jala hospital, told AFP. An explosives-rigged vehicle blew up in front of a mosque in the central neighbourhood of Al-Sleimani, a security source said. The mosque is known to be a base for Salafist groups which fought jihadists in the eastern port city alongside forces loyal to military strongman Khalifa Haftar. 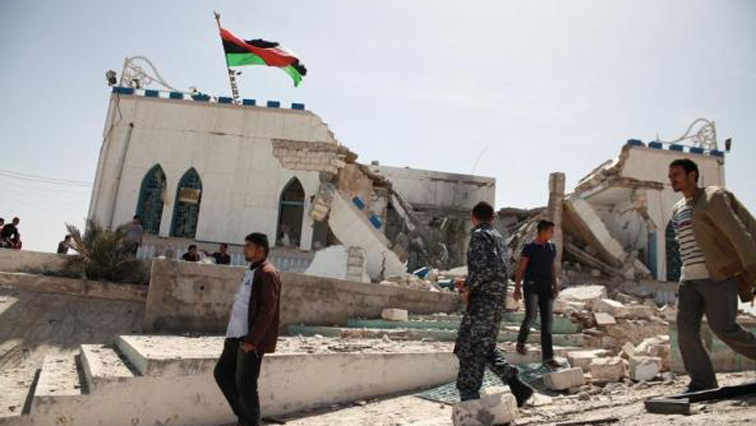 Ahmad al-Fitouri, a security services official for Haftar’s forces, was among those killed in the bombing, military spokesperson Miloud al-Zwei said. Libya has been rocked by chaos since a 2011 uprising that toppled and killed dictator Muammar Gaddafi, with two rival authorities and multiple militias vying for control of the oil-rich country. Haftar in July announced the “total liberation” of Benghazi, three years after his forces launched a military operation to seize the city from jihadists who had made it a stronghold following the revolution. This entry was posted on 24 Jan 2018,07:50AM at 7:50 AM and is filed under Africa, Homepage Latest Stories Slider, Homepage Featured Story Slider. You can follow any responses to this entry through the RSS 2.0 feed. Both comments and pings are currently closed.